Are your stretch marks coming in between you and your beauty? Relax no more! Sit back and read this article which will give you some simple home remedies on how to get rid of stretch marks. The first thing you should know is what these stretch marks are? How do they appear? They are nothing but marks that develop due to overstretching of your skin. Our skin is made up of elastic. It is stretchable but within limits. Stretching beyond limits in cases like sudden weight change, pregnancy or simple extra teenage growth causes stretch marks. Even excess stretching during exercises may lead to a stretch mark. These all can be reasons for your ugly stretch marks on the body. Regular and continuous usage of the below-mentioned home remedies will fade and remove your stretch marks. The health benefits of apricots are not unknown to humanity. Nowadays scrubs made of apricots are available in the market. These scrubs are a good option for getting rid of stretch marks. You can also try this mask made from apricots. This mask, when applied on the stretch marks regularly, will remove your stretch marks in a month or so. How To Use Apricots In Removing Stretch Marks? For this, you need 2-3 apricots and some warm water to wash your skin with marks. What you have to do is to remove the seeds from the apricots by cutting them. Grind the apricots with a little water to form a paste. Take this paste and apply it all over your stretch marks area. Leave it for 15-20 minutes. Then wash the area with lukewarm water. You can repeat this procedure daily for about 2-3 weeks. Aloe Vera is a well-known product famous for its soothing and healing benefits. It is also very helpful in treating many skin problems. Aloe Vera has collagen which is responsible for skin repair. Using a natural product is beneficial than using any commercial product. Make use of fresh aloe Vera leaf for this remedy for best results. How To Use Aloe Vera For Stretch Marks? Take one Aloe Vera leaf. Slit open the leaf to obtain the gel-like portion. Take this gel out and apply it evenly on the stretch marks. Leave it for about 1-2 hours. After that wash it with plain warm water. You can also try this.Mix 1/4 cup of aloe Vera gel with vitamin-E oil from 8-10 capsules and vitamin-A oil from 3-4 capsules. Mix them well. Apply and rub this mixture on the stretch marks area. Wait till all the oil gets soaked by the skin completely. Repeat this remedy every day. Continuous usage will provide the best results. You know everything about this item quite cheap and very effective.Potato is rich in fatty acids, carotenoids, and polyphenols. It is loaded with several vital vitamins, minerals. It also has the property to stimulate collagen which is responsible for skin growth and restoration. How To Use Potato Juice For Stretch Marks? Take one potato and cut it into thick slices. Take one slice and rub it all over the stretch marks area. Leave for about 5-10minutes till all the juice is absorbed. Make sure you cover the entire stretch marks. After this wash the area with warm water. Lemon is best known for its bleaching property. It contains Vitamin C and AHA which is responsible for the dead skin removal and bleaching property. This helps to fade of the stretch marks, acne and any marks. How To Use Lemon Juice For Stretch Marks? Take one lemon. Cut it into halves. Extract the juice out of the lemon. Using a cotton ball apply this juice all over the stretch marks. Let it be for some time until all the juice gets absorbed. Leave for approx 10 minutes. After this wash the skin with warm water. You can also use this remedy using lemon juice. It increases the efficiency of this lemon juice.Add some lemon juice to some cucumber juice. Mix them in equal quantities. Apply this mixture using cotton ball all over the stretch marks. Leave it for about 10 minutes. Then wash it with warm water. You can also use potato juice or tomato juice in place of cucumber juice. This will give the best visible results when used regularly. Extract some lemon juice. To this juice add 2-3 drops of glycerin. Mix this two well. Apply this mixture on the stretch marks with the help of a cotton ball. Leave it for about 10 minutes and then wash it with Luke warm water. Repeat this process nearly two times a day. Regular usage will reduce the white stretch marks and also hydrate your skin. Egg whites contain numerous proteins and especially collagen. These elements make it an ideal choice for reducing scars and stretch marks. How To Use Egg White For Stretch Marks? Take two eggs and extract the egg white from it separating the yolk part. Whip the egg white with some fork or spoon to make it smooth. Apply this egg white on your stretch marks. Now leave it for about 15 minutes or so till dry. Now wash the area with warm water properly.Pat, the area, dry using a clean towel. Egg white usually dries the skin a bit so apply some moisturizer like olive oil on the area for better results and moisture. Not many people know about theses leaves. It contains amino acids and vitamin E and K. It is a very famous herb use to remove any dark spots, scars and stretch marks. It is also known to be as a natural skin tone. How To Use Alfalfa Leaves To Get Rid Of Old Stretch Marks? Take nearly one tsp of alfalfa powder and mix it with 4-5 drops of chamomile oil. Prepare a paste by mixing them well. Apply this paste on your affected area. Leave it for about 15-20 minutes and then wash it with lukewarm water. Repeat this process nearly 2-3 times a day. Take some castor oil and apply it on the stretch marks. Gently massage the oil on that area in circular motions. Continue this for about 5- 10 minutes. Use some heat on the oil-covered area using a heating pad or some hot cloth. You do not need to wash this area as oil will get absorbed soon. Repeat this procedure daily for best results. Sugar has the property to exfoliate the skin. Natural organic sugar can be used to reduce the stretch marks efficiently. How To Use Sugar For Stretch Marks? Take 1 tbsp of sugar and add 1-2 drops of almond oil and few drops of lemon juice to it. Mix them all well. Apply this mixture on the stretch marks. Rub the mixture on the area gently for 5 minutes. Preferably do this before your daily shower. Repeat this process daily for about a month. This is going lighten your stretch marks. 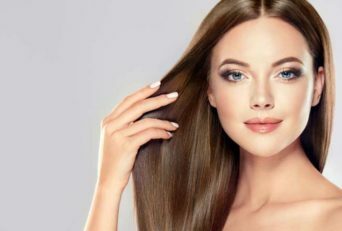 The natural oils available are well known for its emollient property due to which they form the best option for hair problems and skin issues. They also moisturize the skin and enrich the skin with nutrients and antioxidants. When oils are applied on the stretch marks, have the caliber to fade away the stretch marks. How To Use Oils For Stretch Marks? Take ½ tsp of lavender oil and mix it with ½ tsp of chamomile oil and ½ tsp of almond oil. Mix these entire oils well. Apply the mixture on the stretch marks every day for about half an hour. Massage the oil gently. Repeat this process 3-4 times a day. This is one of the best stretch mark removers. You know tea tree oil. It has various health benefits like it is antibiotic, antiviral and anti-inflammatory. This oil works well for skin problems. Take some tea tree oil and rub it on the stretch marks. Massage gently over the area for about 30 minutes. Repeat this process some 3-4 times a day. Take 1 tbsp of wheat germ oil and 1 tbsp of calendula oil. Mix them both well. 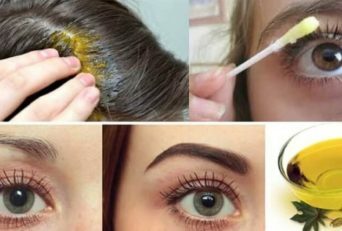 Apply this homemade mixture oil on your stretch marks. So many remedies are there for these stretch marks here comes one more. You must be knowing about Cocoa Shea butter. Cocoa and Shea butter is the best way to get rid of stretch marks. Very typical for its extra moisturizing effect. Using this butter, you can make a skin-friendly stretch marks removal cream at home too. Cocoa butter has natural antioxidant and emollient property due to which it hydrates the skin by seeping deep into the skin providing intense moisture. Shea butter contains a high quantity of vitamin E which is very commonly known for its skin healing and restoration property. When both cocoa and shea butter are used together they provide extra moisture with healing benefits. How To Use Cocoa And Shea Butter For Stretch Marks? Take cocoa butter and Shea butter in equal quantity take two tsp. Whip them together so as they melt. In this melted butter add one tsp of vitamin E oil.mix all these well. Apply this mixture on your stretch marks area. It will nourish your skin and reduce the stretch marks to a great extent. Apply this cream at least 2 -3 times a day after bath. Here comes the most simple and profitable remedy for stretch marks.Drink loads and loads of water. I mean keep yourself hydrated. Being hydrated will remove the toxins from your body and also will restore the elasticity of your skin. Proper nutrition for your skin is also very necessary apart from moisture. Whatever you get in the market any creams do not give your skin exactly what it wants. Include an appropriate amount of proteins in your diet which is there in beans, egg whites, yogurt, almonds, and peanuts. Include lots of guavas, green veggies, spinach, oranges, papaya, and strawberries. These food items are rich in vitamin E and vitamin C which is important for skin repair. Please try to avoid any saturated fat.It will make you gain weight and lead to stretch marks. Include cabbage, cucumbers, green veggies and spring onions in your diet. As these food items are enriched in Vitamin k, it will reduce the stretch marks. Apart from the above home natural remedies for stretch marks even there are some simple daily exercises to get rid of these stretch marks basically from hips, stomach, buttocks, thighs, and abdomen area. Simple exercises like swimming crunches and sit ups. Stay flat. Bend your knees. Keeping feet flat on the ground. Keep your hands on your head side. Now do sit-ups crunching your body near your stomach. Take a chair and sit straight on it. Hold the chair from the sides. Now pull up your legs by swinging them up and down. This will reduce the stretch marks from the thigh areas by forming them. Lie down on the ground flat on your back and relax. Lift your right leg at 90 degrees from the ground. Now do the same thing with the other leg too. This will create a pull on your buttocks and hips due to which stretch marks will be reduced. Yes by doing these simple stretch, stretch marks will go way. Vaseline is a very common moisturizer available everywhere. Apply this Vaseline on the stretch marks regularly. The primary thing is to keep those areas moisturized. If you face some itching on your stretch marks, then take a bath with warm water and then massage your body with some oil. Take some oats and use it as a scrub on your stretch marks. This will help you to reduce the stretch marks. Eat well and include a proper nutrition diet. Include yoga and regular exercise in your daily schedule. Scratching your stretch marks can worsen the condition. Avoid doing that. If your stretch marks are quite old, then use some SPF 60 directly on your stretch marks. This will make it less visible.